Greece is blessed with about 6000 unique and individually delightful islands dotted all around its coastline, each basking in copious amounts of Mediterranean sunshine. The islands come with their own distinct character, history, and architecture, each of which has evolved over thousands of years. This is due to the region’s fascinating history, and changing rule of the Egyptians, Romans, Venetians, and of course the Greeks. With superb sandy beaches, gently lapping seas, and mouth-watering cuisine, the Greek Islands are seemingly designed to be the perfect setting for a cruise holiday. Here is our favourite pick of Greek islands to visit on a Mediterranean cruise. Corfu is one of Greece’s most verdant islands, and has an elegant capital with charming architecture, an impressive fort, and a 16th century church - Agios Spyridhon. Mount Pantokrator rears up in the north of the island, and all around the edges are sandy beaches and small villages. Corfu is a great choice for the family, with attractions like the fantastic water park, and popular, extensive aquarium. Your cruise around the Greek Islands may stop at Rhodes, where the main port is dominated by the handsome medieval castle that peers down on the harbour. Erected in the 14th century, by the Crusader Knights of Rhodes (also known as the Knights Hospitallers), the standing turrets and high castle walls of the Palace of the Grand Master give the town its recognisable outline. As well as evidence of a rich and varied history, Rhodes offers some beautiful beaches, and town squares buzzing with bars and restaurants. Zakinthos – more popularly known as Zante - is a sandy island, famous for its pristine beaches and crystal clear water. Today the island is known for its lively atmosphere, with buzzing tavernas and bars scattered all over. Zante has much more to offer than just parties however. It’s a preserved sanctuary for turtles, and a dream come true for all budding photographers who are lucky enough to visit Navagio Bay - perhaps the most picture perfect beach in the whole of Greece. Today Kefalonia is famous for being the location for the film Captain Corelli’s Mandolin. With its natural beauty, small picturesque villages, and mountainous backdrops, it’s no surprise it was chosen. 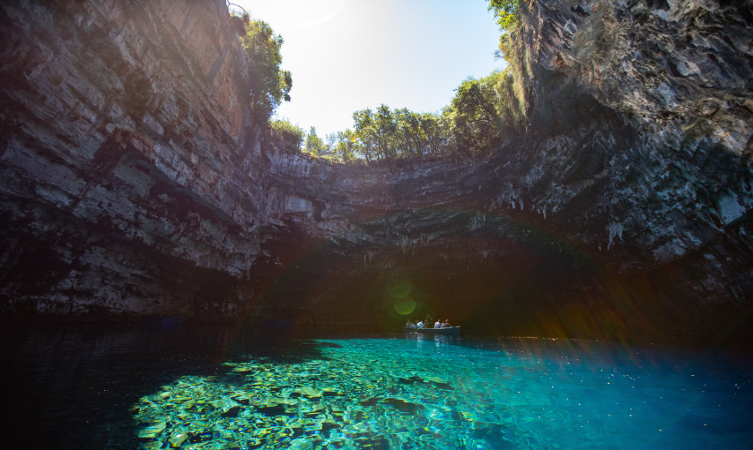 One of the most beautiful spots to see is Melissani Cave; a natural phenomenon with important relevance in Greek mythology. This Ionian island has beautiful architecture, thousands of hectares of olive groves, and a warm welcome to visitors passing through on their summer holidays. Santorini is one of the most dramatic and stunning of the Greek Islands, thanks to its volcanic nature. Its black sand beaches and towering mountains are perfectly offset with pretty white villages, which perch in the hills offering astounding views. Cruise ships drop anchor in the bay that is rumoured to be the site of the legend of Atlantis, and small boats (also known as tenders or water taxis) ferry you to the island for shore excursions. You can ride up the winding tracks on donkeys, or take a more comfortable drive up the mountainside to Thera, a superb spot to watch in awe at the kaleidoscopic sunsets over the sea. 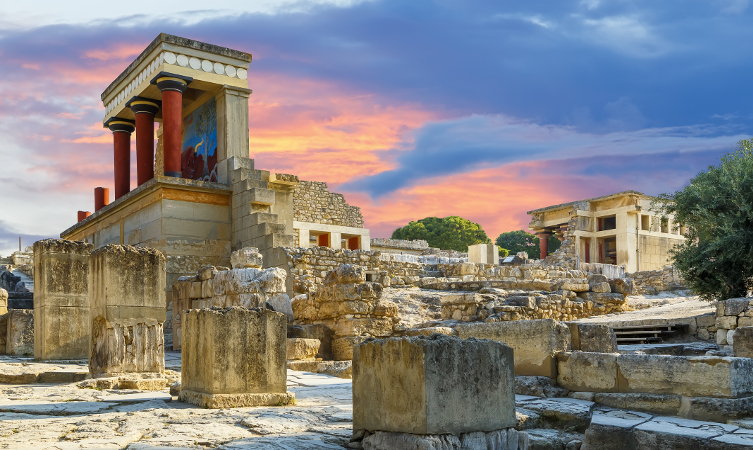 Crete has an incredible amount of history, and is certainly not short of sites to see the evidence of this. Capital city Heraklion is bustling with modern life, set against a backdrop of Byzantine churches and guarded closely along the harbour front by its 16th century Venetian Fortress. Within close proximity are the ruins of the Palace of Knossos, which has been dated back to around 1900 BC. In addition to these unique sites, Crete offers tasty cuisine, a vibrant atmosphere, and natural beauty. Samaria Gorge is particularly stunning. Named after the grandson of Greek mythology’s Apollo, Mykonos is one of the most well-known Greek islands, and as such is hugely popular with visitors. Beaches here are widely considered to be on a par with those in the Caribbean, and the rest of the striking scenery is certainly equally memorable. 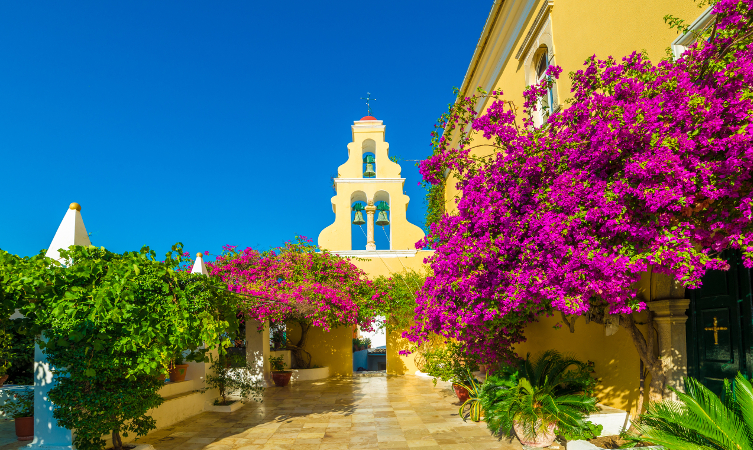 It is one of the Cycladic Islands, instantly recognisable from its pretty white buildings with blue shutters, and it strikes a proud pose as the epitome of the Greek islands. If your Mediterranean cruise stops in Kos, there are all sorts of ways to spend whatever time you have here. Like much of Greece, Kos is stock full of incredible historical sites, so much so that tourists generally end their time here with something of a blasé attitude about them. One such place is the fabled Plane Tree of Hippocrates – the site at which the Greek physician is said to have taught his students. Otherwise there are plenty of great beaches, and an array of bars and restaurants to taste the local fare. The small island of Ithaca sits to the west of mainland Greece, north of Kefalonia. It is not often found on a cruise itinerary, but if you have a day or more in Kefalonia, or indeed on the mainland, you can easily take a day trip here. Ithaca is widely considered the most important in Greek mythology, thanks to its pivotal role in Homer’s Odyssey. While there are of course all sorts of mythology-themed activities, Ithaca is also the perfect place to relax and unwind – with a surprisingly peaceful atmosphere throughout. 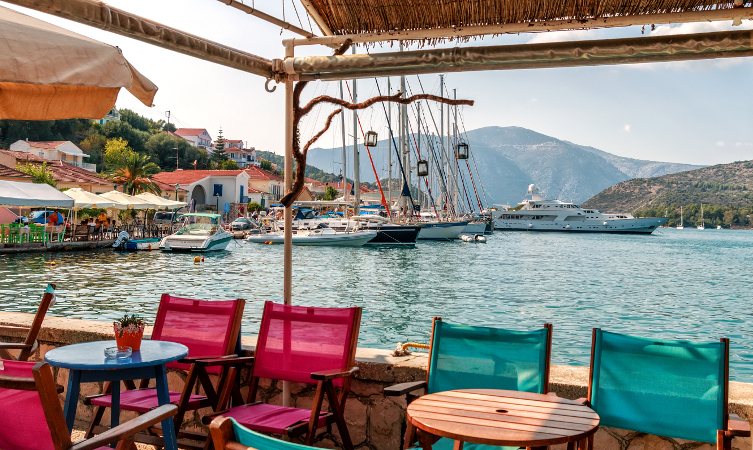 Hydra is one of the lesser known Greek islands, but it is nonetheless another idyllic gem of a destination. It too has some beautiful architecture, clear warm waters, and heaps of significant world history. One top spot is the Prophet Ilias Monastery, where Greek hero Kolokotronis was once imprisoned after resisting the Ottoman Empire. The monastery is still used today, and it is possible to explore it after walking or taking a donkey ride to the top of the hill. Other things to do here include visiting museums, horse-riding, and even scuba-diving. This is just a handful of the wonderful array of Greek islands you could see on a cruise to Greece , and you can rest assured that your holiday will be full of fun and beautiful scenery. Talk to our sales team today about other popular ports you can visit on a Mediterranean cruise.